Dryland training concentration should be conducted during the non-skiing off-season however a moderate level of dryland maintenance should be conducted during the ski-training period. Dryland training should not be restricted to gym work and should include fun sports that contribute to the aerobic and anerobic athletes fitness. This strategy of avoiding monotonous exercises and instead presenting the body with ever more new challenges is becoming increasingly popular in the alpine sports domain. A good example of this is Marcel Hirscher, who has been successful on the racing scene for many years. He focuses on a mix of endurance training and sports which are less commonly combined with skiing such as kayaking and motocross. 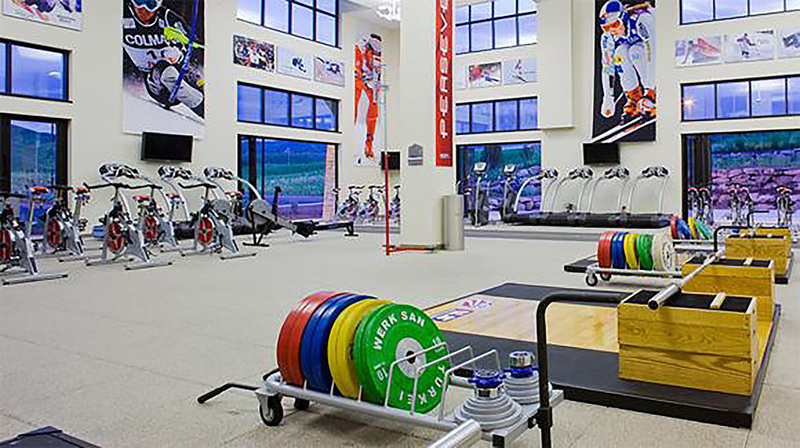 The sessions will encompass SSA and USSA physical testing requirements, in world class facilities at the Basin Recreation Center which has a fully equipped gym, indoor running track, indoor soccer pitch and swimming pool.